With so many internet plans to choose from, some areas are going to have options and service providers that others are not. From plans that only provide high download rates and an abysmal upload rate, to those that offer more speed than most households could ever need. For those that are currently rutted with an internet plan that offers a low upload rate of 1Mbps, this guide aims to help your streaming endeavors. For this guide, we will specifically use Open Broadcasting Software as our primary example tool, settings for broadcasting with a 1Mbps upload rate, as well as other tools to ensure a smooth stream with the least amount of dropped frames as possible. If you are not sure about your upload rate, test your speed HERE. 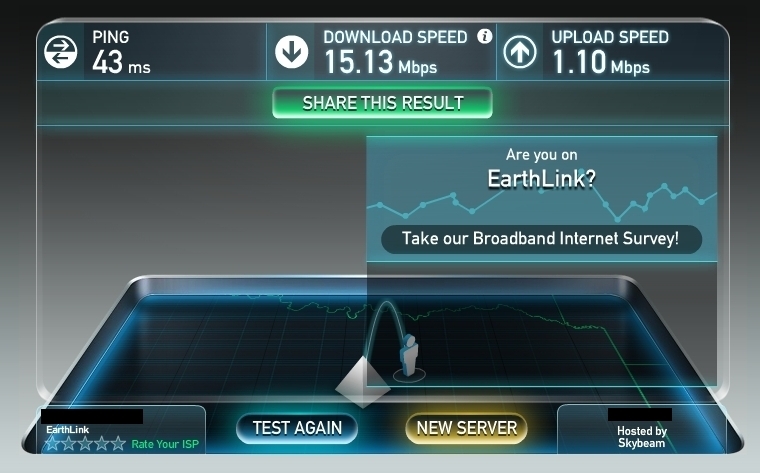 Speed Tested only to find that oh-so low 1Mbps upload rate. After downloading and installing said software, we will go over the settings step-by-step for OBS, then use Nvidia Inspector or EVGA Precision to limit your frame rate for a smoother broadcast. You will want to run OBS as an administrator to eliminate any hotkey issues when using functions such as Push-To-Talk. I implore you to run OBS as a non-administrator and test out hotkeys for yourself, especially Push-To-Talk. Running OBS, or any other program, as an administrator alleviates a lot of nuisances. Next, select the tab labeled as “ENCODING” on the left panel. Check the boxes for [Use CBR], [Enable CBR Padding], and [Use Custom Buffer Size]. As a starting guideline, your [Max Bitrate] and [Buffer Size] should be set 10% lower than your upload rate. In this instance, our upload rate is 1.1Mbps, but we will round down to 1000kbps and take off 10% of that so we can have a bit of breathing room. That means our [Max Bitrate] and [Buffer Size] will be set to 900. From there, you can make any necessary adjustments, either increasing or decreasing by increments of 25. For [Audio Encoding] settings, have the [Codec] set to AAC and [Format] to 44.1kHz. The [Bitrate] can be set anywhere from 64 to 128, but for a 1Mbps upload rate, we are going to nose dive that sucker down to 64. Any lower than 64 and the audio quality suffers immensely, so we are going to use the bare minimum for passable audio bitrate. [Channel] set to Stereo as a default. Now onto the “VIDEO” tab to adjust settings. With a 1Mbps upload rate, 480p resolution is the best are going to be able to crank out. So, after setting your [Video Adapter], move onto [Base Resolution] and select either “Custom” or “Monitor.” If selecting “Custom,” enter your monitor’s current resolution, afterwards, the “Aspect Ratio” should set itself automatically. Move on down to [Resolution Downscale] and select “852×480” as your resolution. For [Filter] select “Bilinear” and set your [FPS] at 25. Now, base resolution will directly affect your OBS scene edits, so the larger you have it, the better. As for the frames per second [FPS] being set to 25, it helps reduce the amount of dropped frames, especially when you will be streaming your games at 30 FPS. Last on the OBS checklist are the “ADVANCED SETTINGS.” For Twitch streaming, make sure you check the boxes for [Use Multithreaded Optimizations], [Disable Encoding While Previewing], and [Allow Other Modifiers on Hotkeys]. For [Process Priority Class], have the setting on “High” and [Scene Buffering Time] set anywhere between 700-1000. If your internet connection tends to be frequently unstable, then use 1000 as the preferred setting. For the other settings, it’s imperative that you keep [x264 CPU Preset] at “Very Fast,” [Encoding Profile] as “Main,” and the [Keyframe Interval] on 2 for absolute compatibility when broadcasting on Twitch. The rest of the settings can be left unchecked without consequence. The final step is to lock your game’s frame rate down to 30 FPS. The reason for this is to further reduce the amount of dropped frames during the broadcast. Streaming at 60 FPS with a 1Mbps upload rate will result in a choppy stream, and forgetting to lock your game’s frame rate when OBS is set to 25-30 FPS have similar results. 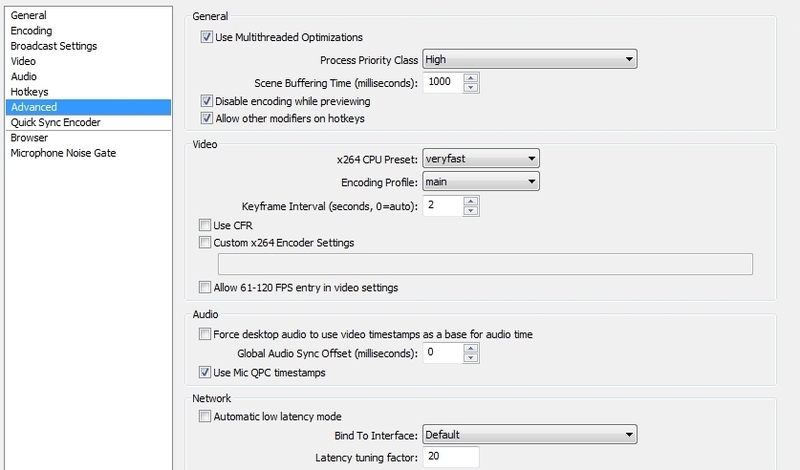 For Nvidia Inspector, the “Frame Rate Limiter” option can be found under [Sync and Refresh]. 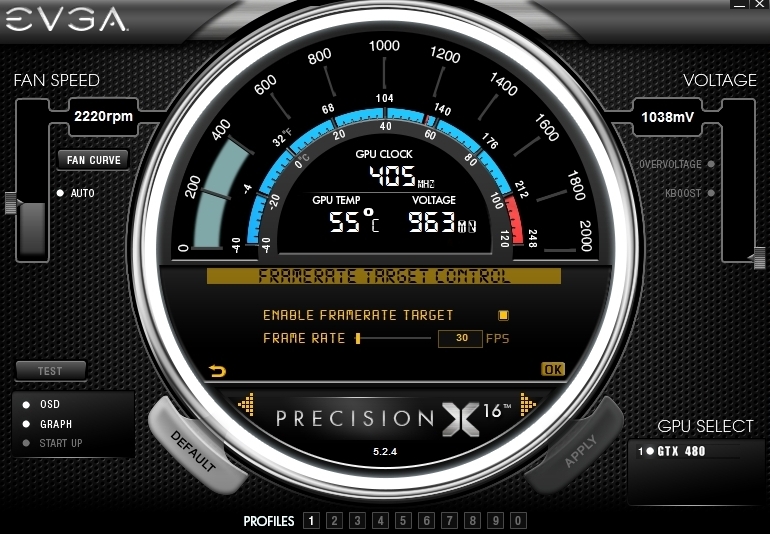 When using EVGA Precision, the Frame Rate Limiter will be labeled as “Frame Rate Target Control” in the options menu. Check [Enable Frame Rate Target] and drop the slider down or type “30” in the FPS box. Consider the core of your broadcast settings complete! This guide may not be perfect for everyone but can serve to help find the right settings for your setup. After watching many videos and reading other guides, this article is an accumulation of those guides, as well as my own experience. I hope this helps out anyone that wants to stream and has an upload rate of that oh-so lovably low 1Mbps. Cheers, everyone, and happy streaming!